You can amend the default wording to your liking by changing the text as needed and utilising the colourful placeholders on the right hand side. 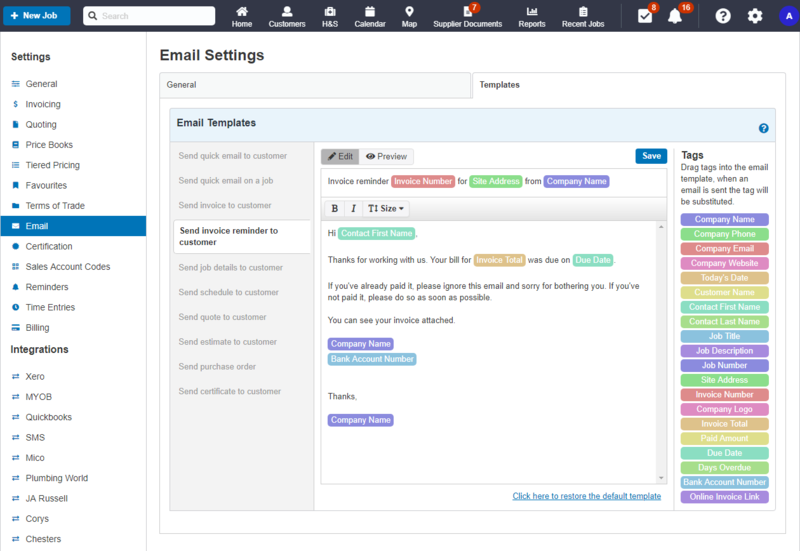 Drag and drop these to add the associated text when you email your customer. 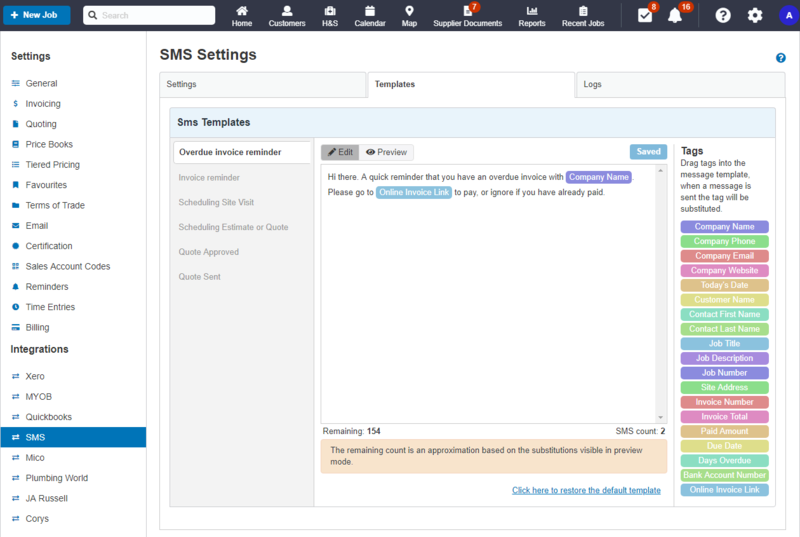 Currently, we do not offer custom templates for email or SMS.